752TC is a deep cavity back investment cast design, made from 431 stainless steel with more side wall weighting for higher perimeter weighting which means better feel and more distance when hit off-center. 752TC irons feature a slightly thicker top line and an extended weight pad off the back of the sole to move the Center of Gravity farther back from the face; Moving the CG back helps to increase the trajectory of the ball for more carry distance and better backspin. 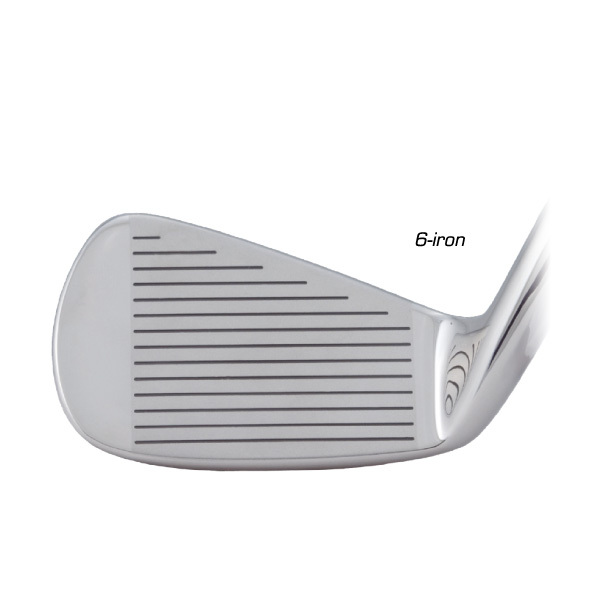 The rear weight pad reduces in size in each 752TC iron as the loft increases down through the set; as loft increases, there is less need for a design feature that increase trajectory. 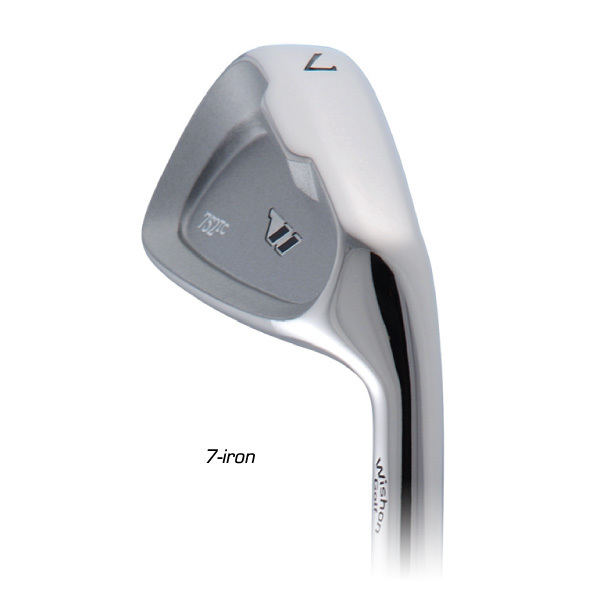 Offset is progressive from 6mm on the #3-iron down to 2mm on the wedges. More offset places the CG farther behind the shaft which in turn increases the trajectory on the lower loft iron heads. Finished in Brilliant Mirror polish with laser cut TW logo metal medallion in the back cavity. Available in RH and LH. 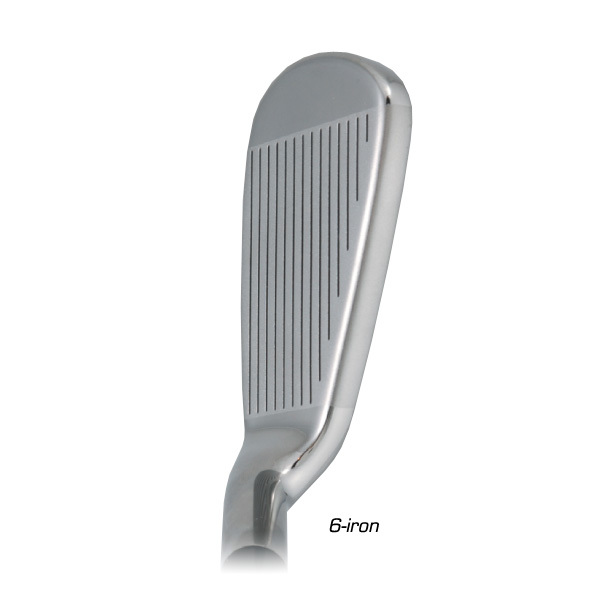 RH in #3-9, PW, AW, SW, LW; LH in #3-9, PW, SW.
A 360º view of the 752TC Iron Clubhead. 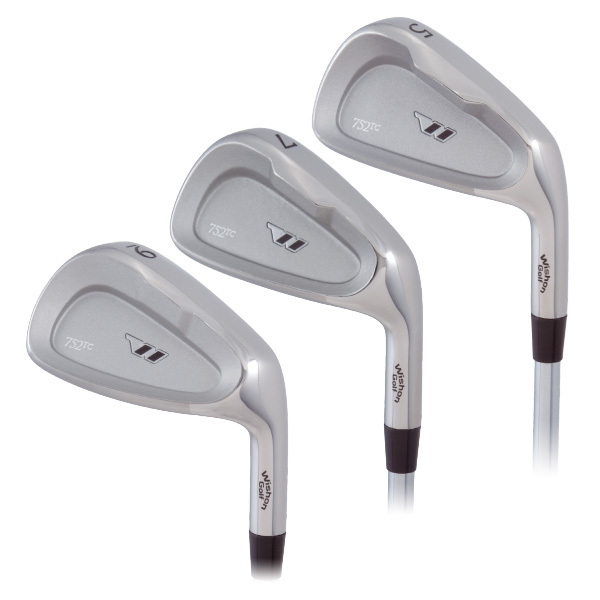 I still am playing these irons, but have decided to build myself a new set of irons. Getting at an age where hitting the ball a long way gets a real challenge, I wonder which currently available Wishon Irons I should look at. Improved distance is on the top of my list, but I dont like thick toplines and I dont like big offsets either. You might think about the 771CSI. High COR variable thickness face in a carbon steel body with low-ish offset and a thin topline. You could have the lofts bend down 1-2* to help add to the high COR face for a little more distance since the 771’s are easy to bend. Love these irons! At setup these irons look more like traditional blade irons and less like bulky game improvement irons. I’ve played these clubs for several years and have not been disappointed in their quality or playing characteristics. A great design for both low and high handicappers. They can be bent to satisfy all swing paths. Wishon also carries a large variety of steel and composite shafts that can enhance every player’s game. 752TC is a wonderful iron head. Great feel, spins the ball well, and the sole is perfect for bermuda grass. 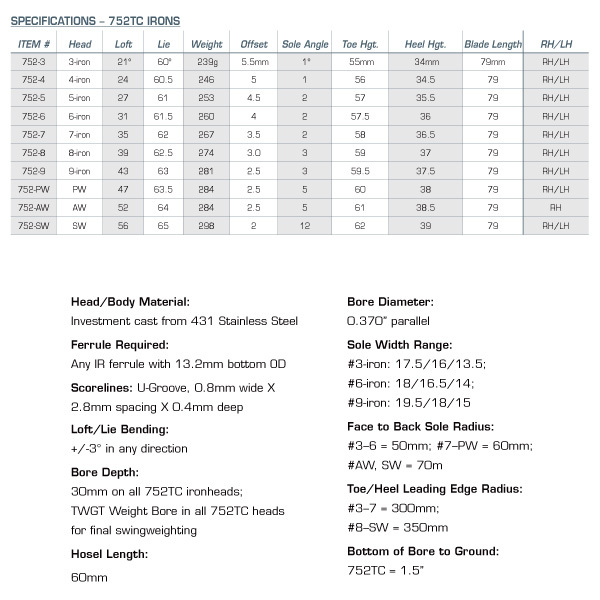 Top performing iron head. The 752TC’s are quality at a price you can afford. I have built countless sets of this long standing design and have many very happy golfers. Excellent standard of manufacture coupled with Tom’s design ability make this model one of best.